So, you’ve decided you need a humidifier, and you might’ve seen the Bionaire brand around, but you still aren’t sure whether you need a small, medium, or whole house. And then there’s the question of whether you should get warm mist or cool mist. You know that a humidifier is bound to ease the stuffiness of everyone in your house, make it easier to sleep at night, and even possibly stop the annoying snoring. Not you, of course, you don’t snore. The Bionaire Ultrasonic Warm and Cool Mist Humidifier combines a lot of the features and functions you might be trying to decide between, and it's a good size for almost any size of room. To see whether this is the right humidifier for you, keep reading to see the pros and cons, how this humidifier sets itself apart from all the others on the shelves, and what others who've bought it have to say. What Makes This Humidifier Different? Check out any aisle in a big-box store that sells humidifiers or go online and scroll through the lists of humidifiers there. You’re sure to find plenty of options. There are the small, inexpensive ones that will shoot out a small burst of what looks like steam. Run your hand over it and the mist feels cool to the touch. The great thing about this Bionaire is that you are getting a bit of a compromise in some areas, and you aren’t compromising at all in others. Whether you pick warm or cool mist machines, the result is the same: Water vapor is added to the air, and once that humidity gets to the air and you, it’s all the same temperature. It’s nice to have the choice, though, and you get that with the Bionaire. That’s why this Bionaire may seem a little misleading with its warm and cool mist options. You won’t feel warm mist coming out of this unit. The benefit to having both is that the warm mist option heats the water and can kill contaminants in your water, such as some bacteria and viruses. The cool mist setting saves energy, but it won’t filter out those icky bugs and such. Whichever setting you choose, you’ll get the same results: more humidity in the air. That extra humidity can help your furnace or heater work more efficiently because higher humidity helps it feel warmer to you. Just make sure to monitor the levels, because too much humidity can have negative effects. When it comes to the size of the tank, this one has a 2-gallon capacity. That’s large enough that you shouldn’t have to refill it every day. Set it to low and you may be able to go days before having to refill it. Speaking of refilling, there’s an indicator light to let you know when it’s time to refill, which is so much better than having to pick up the unit and inspect it for leftover water. The Bionaire Warm and Cool Mist Ultrasonic Humidifier will work hard at the high level to turn your room into a virtual rainforest, but it won’t run for very long because so much water is being used. The medium setting puts out a good amount of humidity to fill a medium- to large-sized room. And the low setting adds just enough humidity to ease symptoms of dry weather and illnesses without you really noticing. You can use the timer to only pump vapor into the air while you’re sleeping, or while you’re hanging out in the room where it’s located. You get your option of 4, 8, or 12 hours. And while we’re on options, there are two nozzles at the top that you can reposition to direct the vapor streams where you want them. There’s no need to move the actual humidifier. This Bionaire humidifier includes a light that glows a pretty blue, which could be helpful as a nightlight. The good news for those who can’t sleep with a light on is that it does turn off, too. To refill the tank, you remove it from the humidifier and fill it from the bottom. Many humidifiers are bottom-filling, and there’s nothing wrong with this design element. However, leaking could happen. And the fan intake is in an odd spot. Most fans for evaporative and ultrasonic mist are located on the bottom, which doesn’t interfere with anything. This Bionaire’s is pointing sideways, which kind of makes sense, except water falling on top can (and usually does) get into the opening where the fan is located. Bionaire made this humidifier to be as convenient to use as possible. There is a demineralizing tab included, but replacements are not available, which could be confusing. The company simply changed the way they offer a way for consumers to “clean” tap water they use in the tank by offering a water-soluble solution instead. Using it can mitigate some of the white dust that’s emitted when you use the cool mist setting. Warm mist humidifiers won’t spit out that white dust at all because it essentially boils the minerals out of the water. Another option to avoid that fine white powder ending up all over your floor and belongings is to choose distilled water for your humidifier. Of course, you’ll need to wash this humidifier at least once per week, as hard water can build up over time, and mold is always a concern. It’s easier to clean than you may think. While this is a compact unit, it’s easy to reach all the parts that water touches. And Bionaire includes a small brush to help you scrub clean all the bits and pieces. Leave your essential oils out of the tank because you won’t be able to use this humidifier as a diffuser, as many others are equipped to do. It’s unfortunate, but you could damage your humidifier if you do. 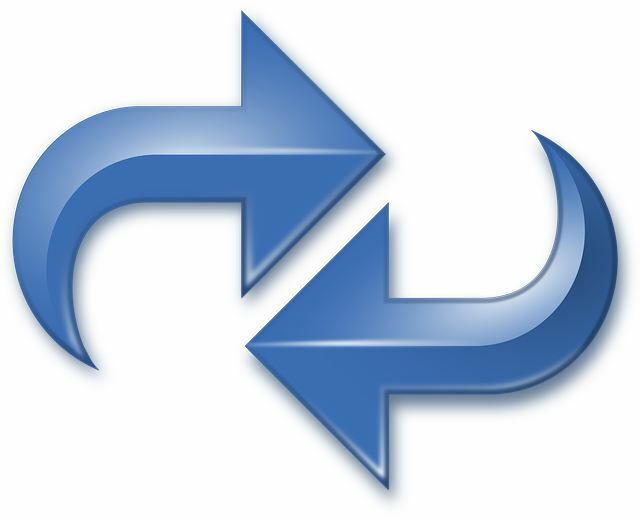 The good news is that if anything goes wrong with your unit because of defective parts or labor, you have a three-year warranty to protect your purchase. Most humidifiers are one-trick ponies, but this Bionaire humidifier offers a few more features that could benefit you in the long run. The 2-gallon tank on this unit ensures you aren’t refilling it constantly, which makes this a more convenient choice compared to smaller units. In spite of the large tank, the whole unit is quite compact and should fit easily anywhere. You can choose between warm and cool mist, which only switches the way the vapor is created. It’s nice to have choice, even if the resulting vapor is the same either way. Pick low, medium, or high output for the amount of humidity all at once you want. Of course, the lower the setting, the longer your tank of water will last. This unit has two nozzles at the top where vapor streams from, and these nozzles are adjustable. So, you can point them where you want the vapor to go. A timer is helpful if you only want your Bionaire humidifier to run for a certain amount of time and then shut off. This one comes with a 4-, 8-, and 12-hour option. There’s a button on the face of the humidifier that lets you turn on and off the light that’s built into this unit. It can be helpful to have a little light in the middle of the night. You won’t have to buy any extras to keep your humidifier running properly. There is a demineralizing cartridge included, but you can’t find replacements. Instead you can buy a water softener or supplement to distill your water in the tank. Those who have bought this humidifier seem to either love it or hate it. The in-betweeners are few and far between. Here’s what the consensus was for each feature or issue. Overall, consumers who purchased and reviewed this Bionaire humidifier agreed that filling the tank is easy enough. The tank is a bit too big to fill up in a bathroom sink, but a kitchen sink or bathtub should work well, others agreed. The process of cleaning the humidifier’s tank is easy because it’s so large, and the included brush is helpful. However, some people mentioned that hard water buildup is difficult to get off. The warm mist option confused several people who used this humidifier. The language in the marketing makes it seem as though you’ll feel warm, wet air coming out of the unit, and that’s not quite the case. It might be room temperature, but no warmer than that. So, there were some complaints that the warm mist option didn’t work. This humidifier is literally plug and play. And fill. It’s as easy as that, and those who bought this humidifier said as much. This is the most common issue that people had with this Bionaire humidifier. Not everyone experienced leaks, but those who did said it was more than water vapor gathering around the unit – it was more like flooding at the bottom of the unit. At first, consumers said there was no fine white dust on their belongings after running this Bionaire humidifier, but after a while longer, the dust appeared. Part of this is because the demineralizing cartridge likely wasn’t demineralizing any longer, and you can’t buy replacements. So, this can be annoying. Generally, people who bought this machine agreed that it puts out a lot of moisture for such a compact machine. 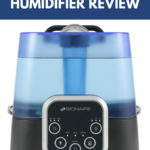 While some people believe this humidifier was worth the cost because of the two mist functions, most people agreed that it was a bit too pricey for what it does. The Bionaire Ultrasonic Warm and Cool Mist Humidifier has an attractive square shape with a slightly translucent blue topper. The handle at the top makes it easy to move this humidifier from room to room. Don’t let the compact design fool you, though. There’s a 2-gallon tank situated in this unit that holds water. It can run for several days without you having to refill it, or you can crank the vapor up to turn a smaller room into a humid jungle-like atmosphere to help you breathe. Bionaire included helpful features, such as a timer with three different settings, and a nightlight that glows a pretty soft blue. You can also turn it off, if you’d prefer. The choice of warm or cool mist is a nice option to have. You get the same kind of vapor, but cool mist uses less energy, and warm mist can kill off some bacteria and viruses. Although there were some complaints about leaks and the unit not working properly, part of that is that expectations were not correct to begin with. In the leaking cases, it was probably a defective unit. The three-year warranty included with this humidifier should take care of those issues. This humidifier is easy to keep clean, and it’ll work hard to turn up the humidity in small, medium, and large rooms. There are also two nozzles at the top that are directional, so you can push the nozzles to point the water vapor to where you want it to go. Overall, this is an excellent humidifier to add to your home. It’s a bit pricier than other humidifiers like it, but you get far more options with the Bionaire Ultrasonic Warm and Cool Mist Humidifier.